AS centres that focus on knowledge-sharing and creation, universities are bustling hubs visited and inhabited by hundreds, if not thousands, of people daily. In the midst of the core business of teaching and learning as well as conducting research, university campuses are congested with traffic and busy with activities such as events; daily churning out of print and paper; and the consumption of food and utilities. To counter these challenges, many tertiary institutions are stepping up initiatives to conserve the environment. 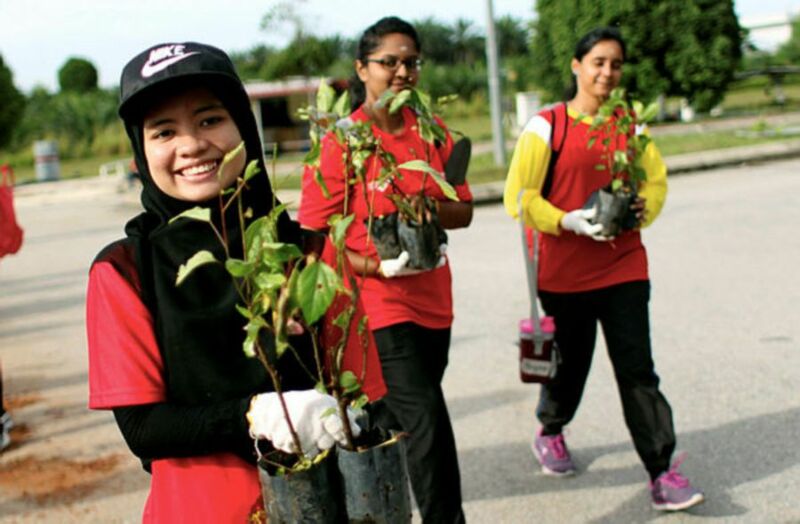 Universiti Putra Malaysia (UPM), for example, already has a green mandate in place that aligns campus activities with its sustainability efforts. Vice-chancellor Professor Datin Paduka Datuk Dr Aini Ideris said UPM’s commitment to the preservation of the environment is reflected in effective environmental management, coaching, the curriculum and quality management-based systems. “As a research university, UPM leverages on its capabilities to measure its impact, embed green input into its teaching and plan solutions and strategies within our industry and community to advocate the need to reduce impact on the environment locally and nationwide,” she added. An alternative road for private vehicles going to and from Kuala Lumpur, Petaling Jaya and Damansara runs through Universiti Malaya (UM). It is concerned about the long-term impact of the campus carbon footprint as well as consumption behaviours regarding food, water and electricity. UM Eco Campus Secretariat and UM Living Labs chairperson Professor Dr Sumiani Yusoff said many efforts have been made to understand and promote sustainability at the university and its surrounding areas. “There is a need to address environmental challenges. It is a necessity for a university to embark on sustainable campus pathways and deviate from laissez-faire and business-as-usual attitudes,” she added. Many argue that with vast land on its property coupled with a long history of agriculture education, UPM has little concerns about sustainability and environmental impact. But this is not so, said Aini. “Being green is not only about land size. It is about creating the awareness and spirit to reduce impact on the climate. It is also continuous effort, strategy and how we can steer mindsets towards green living lifestyles. “We have long realised we need to create a green, sustainable campus. We have had a UPM green policy since 2011 to review the situation and decide on what needs to be done,” she added. UPM endeavours to raise awareness on sustainable development; preservation of biological diversity in natural and man-made environment in the university; and reduction in the release of greenhouse gases, which contribute to climate change, through the efficient use of energy to prevent wastage and the use of alternative energy to lower dependence on nonrenewable energy. The policy also stipulates to reduce the production of all types of residues from campus activities through the 4R (reduce, reuse, repair, recycle) programme; reduce the use of private motor vehicles by improving disabled-friendly public transport on campus and between it and the public transport hub in its vicinity, and provide safer lanes for cyclists and pedestrians; and adopt the concept of sustainable development in the management and development planning of the campus. With the policy as a guide, a number of innovations and best practices have been put in place to make UPM a green campus, namely a consistent effort at reforestation and tree planting; the establishment of a wastebank on campus; and the green campus transportation blueprint as well as smart energy. “Through the Joint Research Project on Rehabilitation of Tropical Rainforest Ecosystem with Mitsubishi Corporation since 1991, some 350,000 forest trees from 128 species have been planted in Serdang main campus as well as Bintulu campus, covering 47 hectares. The project aims to assess the health of rehabilitated forest through measuring indicators of forest health and sustainability of foreign resources. UPM has set up Serdang Biomass Town, a centre for the recycling of used cooking oil into biodiesel oil for vehicles and machinery on campus, for the neighbouring residential community of Sri Serdang. UPM Faculty of Environmental Studies houses Putra Wastebank which takes in fabric for recycling into other products via third party cooperation. It takes note of recyclable items credited in the Wastebank record book and “pay” sellers in the form of bicycle rental hours at the end of a semester. 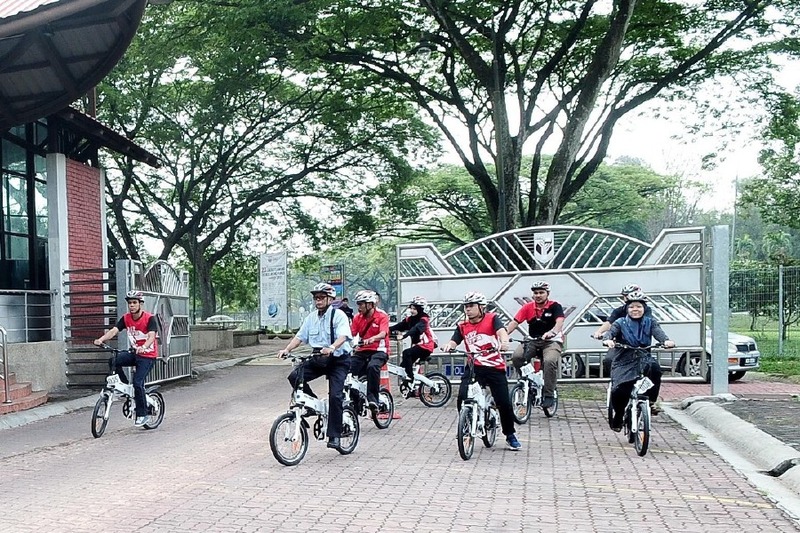 UPM encourages students to ride bicycles to reduce carbon on campus. “We have dedicated bicycle lanes and covered pedestrian lanes. The university community observes ‘no vehicle day’ on Saturday. During registration week for the academic year, students get a rebate for bicycle purchase. UPM collaborates with Toyota in the use of electric vehicles for transport as well as research with the Faculty of Engineering. “We welcome moves such as the ban on smoking at all eateries and the impending ban on the use of plastic straws recently introduced by the government. A UPM researcher has conducted research to produce straws that can degrade faster than existing ones. Talks are underway with the industry to pave the way for production. Launched in 2015, the UM EcoCampus Blueprint guides the institution’s green initiatives in eight core areas, namely Landscape and Biodiversity Management, Waste Management, Water Management, Energy Management, Transportation System Management, Green Procurement, Education Management — Environment and Climate Change, and Change Management in Governance, Participation and Communication. Sumiani said the blueprint aspires to longterm commitment from its top management, academic and non-academic staff, as well as students working as one community in a concerted manner towards a more sustainable campus. Short- and long-term action plans are displayed to provide the campus community opportunities to take proactive measures, in stages, as a show of support in promoting UM as one of the prominent eco campus models at the local, regional and international levels in tandem with its status as a leading university in research and education. “UM Eco Campus initiatives aim to develop a novel campuswide sustainability framework with support from UM Living Labs. “These initiatives contribute towards minimising harmful environmental impact on campus, especially by decreasing carbon emission, to drive UM to be one of the prominent eco campuses in the nation and the world. 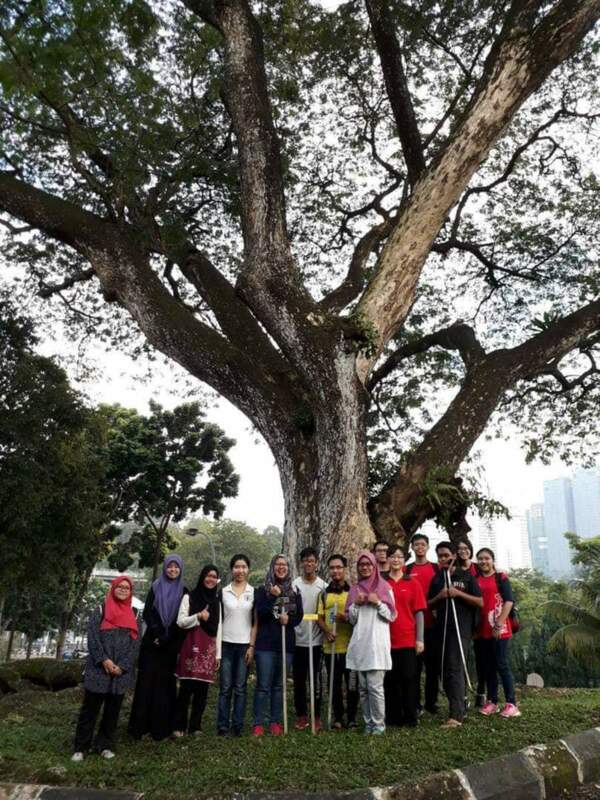 The initiatives cover mainly, but are not limited to, the grounds of UM’s main campus of 360 hectares,” added Sumiani. UM Living Labs enable the integration of research and development, demonstration and deployment of sustainability solutions on the ground, promotion of multi-inter-and-transdisciplinary research and, most importantly, the labs befit the need of the community for a better campus environment. UM Living Labs are in their fourth cycle, where solutions are applied on a larger scale throughout the campus. They have already shown more than a reduction of 6,590,000kg carbon dioxide Green House Gases emission, with direct and indirect monetary gains from these collective initiatives amounting to more than RM1.2m after one year. Over the years, UM initiatives, namely Water Warriors (water management), UM Zero Waste Campaign (waste management) and The RIMBA Project (landscape and biodiversity management), have attracted numerous participants both local and international. In putting forth sustainability into action, sharing of best practices — within the community and without — is another important learning curve that UM have to scale continuously. Best practices in UM Eco Campus initiatives are embedded in a series of guidelines including: Guideline on Green Waste and Wood Waste Separate Collection and Management for Institutional Area; Guideline on Energy Monitoring and Management for Energy-Saving in UM; UM Campus Transport Guidelines; UM Green Procurement Guidelines; and Eco-Surau Guidelines: Imarah Green Project of Academy of Islamic Studies Surau. In the recently announced Universitas Indonesia GreenMetric World University Ranking (UI GreenMetric) 2018, UPM was placed 32nd in the world, making it Asia’s third and second in Southeast Asia. It maintained its first position in the country. UM came in 36th. UI GreenMetric is an annual world university ranking of the current condition and policies related to green campus and sustainability in universities. In 2018, there were 719 higher education institutions in the rankings with 18 from Malaysia. Top place went to Wageningen University and Research in the Netherlands while University of Nottingham was second and University of California Davis, third. To date, UI GreenMetric is the first and only world university ranking system based on voluntary participation that focuses on campus sustainability performance. It ranks universities performance in six categories: Setting and Infrastructure (15 per cent), Energy and Climate Change (21 per cent), Waste Management (18 per cent), Water Management (10 per cent), Transportation Management (18 per cent) and Education and Research (18 per cent). Aini said every participant has a level playing field and a specific role to play within the academia in contributing towards sustainability. “If you read in between the lines, the university is under scrutiny — not only its community but also the top management. UPM’s success in being ranked first in the country for nine consecutive years is the result of team effort with dedicated person in charge in every department tasked with this index. As for UM, it maintained renowned status as Asia’s first Most Sustainable University in City-Centre Set-up. UM rose in three significant achievements: Best Water Management in Malaysia, Best Education and Research (Sustainability) in Malaysia, and Best Waste Management in Malaysia. equivalent to 1.84 per cent of Kuala Lumpur population inhabiting a main campus area of 2.99 million square metres, UM achievements in this campus sustainability assessment is “an important milestone”. Universitas Indonesia in its website said it believes by drawing the attention of university leaders and stakeholders to the rankings, more focus will be given to combat global climate change, improve energy and water conservation, and promote waste recycling and green transportation. Universities occupy a position of neutral and trusted stakeholders in society. “Academia has a key role to play in conservation and environmental protection. It has the capacity and responsibility to guide and lead society at the local, national, and international level.